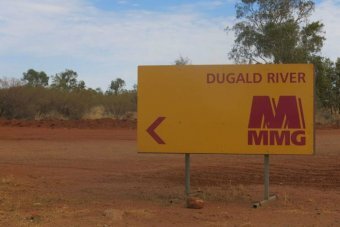 Jobs are set to begin flowing for Cloncurry, Mount Isa and Townsville, with the $1.4 billion MMG Dugald River zinc mine starting recruitment for the first of hundreds of jobs. Minister for State Development and Minister for Natural Resources and Mines Dr Anthony Lynham today welcomed the boon for local jobs in the North. “More than 40 positions are currently being advertised for jobs in maintenance, plant and process operators, and service crews, and these roles are essential to the next step of MMG’s operations near Mount Isa,” he said. “These jobs are just the beginning, as it is anticipated that MMG Dugald River will employ up to 400 site based staff when the mine is fully operational. “MMG has a focus on local employment from communities such as Cloncurry and Mt Isa. “And it is not just the state’s North West which is set to benefit, with locals from Townsville with the relevant skills and experience also able to apply. MMG Ltd’s project, 85 km north-east of Mt Isa has “prescribed project” status and is due to start production in the first half of next year. Dr Lynham said the MMG Dugald River announcement was just one piece of the good news for jobs in Townsville following the appointment of Watpac as the major contractor for the North Queensland Stadium. Early works on the $250 million North Queensland Stadium are scheduled to start in the second half of this year, creating up to 750 jobs. Watpac is set to meet business leaders at the quarterly Townsville Industry Breakfast on June 6 and will start releasing trade packages in coming months.